Samsung is one the most loveable brand. With affordable price you get good specifications if you buy this product. This is the best phone in my budget and durable as expected. The battery of the phone lasts long for almost 2 days without charging. The rear camera is excellent and the front is also awesome. This is the worst ever mobile I have seen from the samsung,just brought yesterday &I got frustrated by this. Galaxy A7 is one of the decent mobile under this range . It comes with one of the good feature of durable battery . Camera is great due to full HAD resolution . 15 Pricebaba users have written their experience with Samsung Galaxy A7 2017. If you own Samsung Galaxy A7 2017, please do leave your feedback too. Lowest price of Samsung Galaxy A7 2017 price in India starts at Rs. 25,899 Samsung Galaxy A7 2017 is available on Amazon at Rs. 25,899. Prices updated on 22nd April 2019. 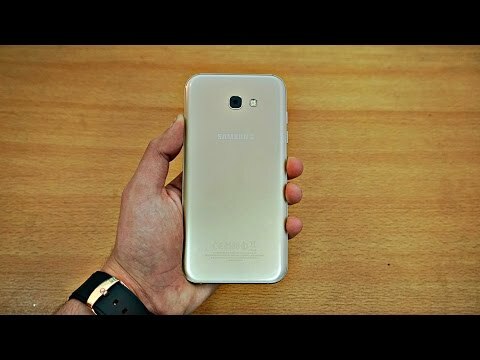 Samsung Galaxy A7 (2017) is a dual SIM device that is expected to be released by February 2017. Fingerprint scanner at the front, good look and very good cameras are its major highlights. Samsung Galaxy A7 (2017) comes with a 5.7-inch Full HD Super AMOLED touchscreen display, 1920 x 1080 pixels resolution, Corning Gorilla Glass 4 screen protector and 401PPI pixel density. It is available in 4 colours including Pink, White, Gold and Black. This dual SIM device is loaded with 1.9GHz octa-core Exynos 7870 processor, 3GB RAM, Mali-T830 MP2 graphics and Android 6.0 Marshmallow operating system. Accelerometer, proximity sensor and compass are in-built. Samsung Galaxy A7 (2017) is built with 16MP rear camera with 4616 x 3464 Pixels resolution, 1.8f aperture, autofocus, LED flash and OIS. It has 16MP front camera with 1.8f aperture. Other camera features include face detection, touch focus, phase detection, HDR, panorama, continuous shooting, geotagging and ISO control and exposure compensation. Users have the facility of recording HD videos at 1080p. It has an internal storage of 32GB that can be expanded up to 256GB with a micro SD card. This dual SIM device is built with 3600mAh non-removable Li-ion battery with fast charging facility. Connectivity options include 4G LTE (India Compatible), 3G, 2G, Wi-Fi, Bluetooth, NFC. GPS with A-GPS, and GLONASS/ BDS are available. Samsung Galaxy A7 (2017) faces competition from Lenovo Z2 Plus and Asus Zenfone 3. Samsung Galaxy A7 (2017) has bigger screen, better rear and front camera than Lenovo Z2 Plus whereas Asus Zenfone 3 has lower capacity battery, more RAM and lower front camera than Samsung Galaxy A7 (2017). Ans: Yes, this phone offers support for VoLTE and will work fine with Reliance Jio. 2. Does the phone support USB OTG? Ans: Yes. the Samsung Galaxy A7 2017 does support USB OTG. 3. Is this phone waterproof? Ans: Yes, the phone has IP68 certification and is waterproof. Ans: No, the 3600mAh battery is not removable.